“John Thompson & Sons is the largest multi-species feed mill in Europe. It is also a renowned Belfast company, with a rich history and pedigree; and its logo – the Clydesdale, known affectionately as ‘the gentle giant’ – is known to farmers across Northern Ireland. 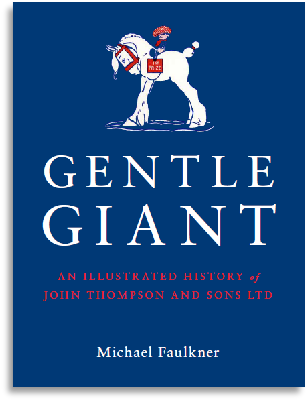 Gentle Giant is available to order from John Thompson & Sons (£10 + £2.50 p&p): call Samantha Connor on 02890 351321. Payment is by cheque or card.